Barack Obama and Mitt Romney may closer resemble celebrities than politicians, but they just aren’t funny enough. 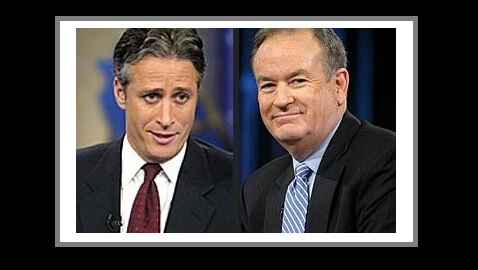 To really laugh at the presidential debate, watch Bill O’Reilly and Jon Stewart, who debated Saturday night in “the Rumble In the Air-Conditioned Auditorium.” It was held at a Washington D.C. university and not televised, though for $4.95 you can watch it on online. 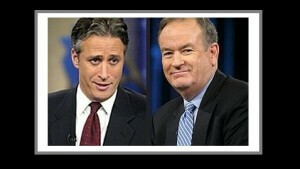 Stewart, whose quasi-news show has more and more resembled a Democratic roast of Republicans, more-or-less defended Obama’s position, while O’Reilly, a former Fox News political commentator, defended Romney’s. They actually are friends, and have staged such debates a few times before. The main issues at this debate regarded America becoming an “entitlement society,” which O’Reilly lamented, but which Stewart thought was great. “They advertise on the radio for food stamps,” said O’Reilly. “Why is it that if you take advantage of a tax break and you’re a corporation you’re a smart businessman, but if you take advantage of something that you need to not be hungry, you’re a moocher,” said Stewart. Well in one case, a businessman is having less of what he has earned taken from him by the government, in the other, the government is giving something the “moocher” hasn’t earned — but it was all about comedic effect in the debate. 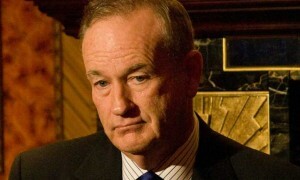 “The mind-set is, if I can gin the system, I’ll do it because it’s easy,” O’Reilly said. He also pointed out that Obama’s proposal to increase taxes on the wealthy won’t close the deficit much. At one point, Stewart, called “Hobbit-like” by the moderator, rose on a motorized platform above his 6-foot 4-inch opponent, and at another, when the moderator suggested there be more cross-partisan dialogue, Stewart sat in O’Reilly’s lap. “What would you like for Christmas, little boy?” asked O’Reilly.